The Townhouse that's the Envy of the Town! The townhouse that we are going to show you today in this homify 360 is a creation by the team of BTL Property Ltd. It has also become the star of the neighbourhood! 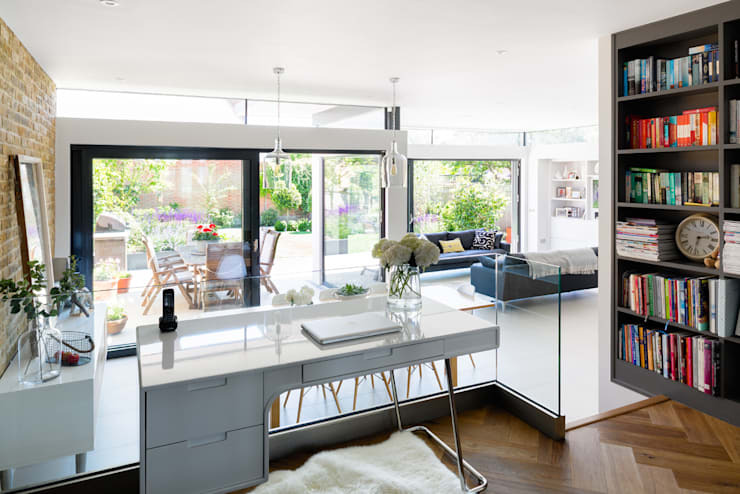 The owners of this home wanted more living space, a modern interior and a lovely garden. All of these wishes were conveyed to the architect professionals who in turn, created a modern dream home for the family. We are going to take you on a little tour of this townhouse, including in the garden and in the private rooms so that you can see the incredible results! Let us first look at the home from the outside more closely. The home is a very classic design with a gable roof. In the front, we can see how the home was extended into the garden, with its flat roof. 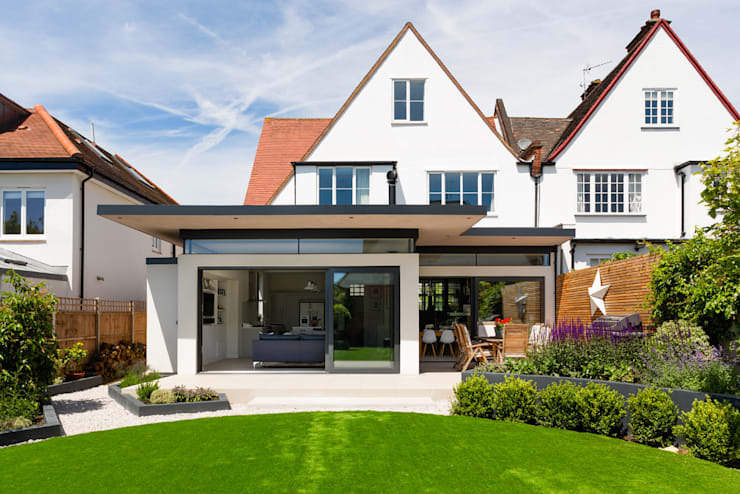 The flat roof was constructed with fibre glass and aluminium, which creates a very shady and cool space. Before we go inside, we have to explore the garden a bit too, because it was also designed by our experts. 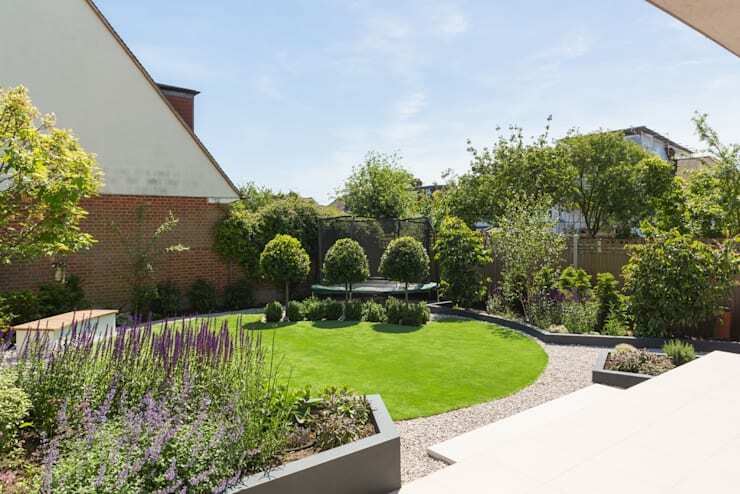 With attention to detail, the plants and bushes have been arranged neatly in beds, limiting the lawn to a circle in the middle of the garden. It is surrounded by a very sweet gravel path. In the back of the very well-kept garden, there is also pleasure to be had. Behind the small trees we can see there is a trampoline with a net! In the original home, the kitchen and dining area were in two separate spaces. The experts decided to refresh the entire ground floor so that now the dining room, kitchen and even the living room are united on one level. All areas are visually separated, however, by their different styles. In the living room, for example, it was decided to use dark blue sofas that are very cushy and comfortable with its different kinds of pillows. In summer and winter, this is a perfectly comfortable room! 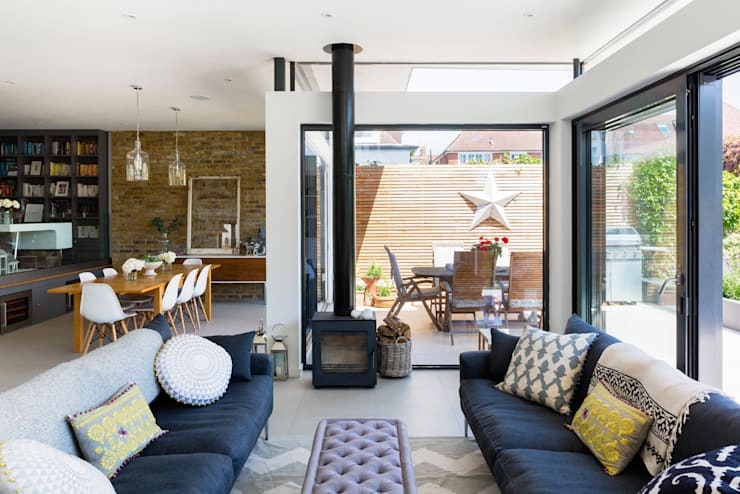 In summer, the sliding doors can be opened, extending the home out onto the terrace and letting fresh air in. In winter, the little fireplace warms the space up! 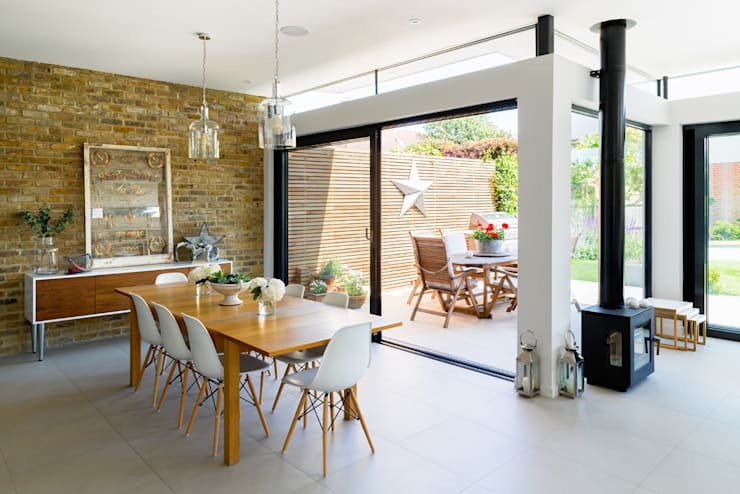 In the dining area, we can see a bit of a Scandinavian touch when it comes to decor and design thanks to the light furniture and strong use of wood. The impressive stone wall brings a rustic touch to the atmosphere and is very fascinating. The elements in this space introduce nature throughout the interior. In contrast with the cosy living room and the rustic Scandinavian dining room, we can see a very minimalist and sleek kitchen. There are no frills or unnecessary decor items in this space. 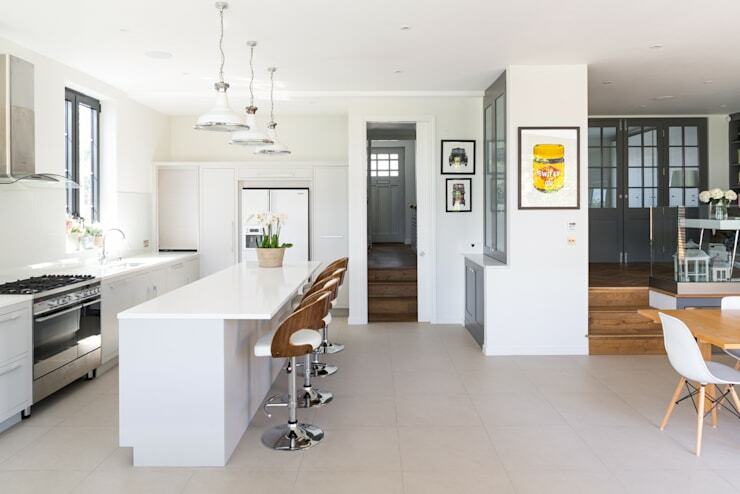 Instead this space is characterised by straight lines and a dominant white look and feel that makes for a very modern kitchen. The wooden arms on the bar stools are the only natural charm included in this very clean and modern space. If you like this kitchen, have a look at these: 7 minimalist interiors that wow. The dining room opens up onto a little pedestal, where the home office was established. This area is visually separated from other parts of the home. It is a very concise area thanks to the dark wooden patterned flooring, which suits this little nook. If used throughout the living space, however, it could look quite old-fashioned. For a little bit of cosiness in the work space, we can see that the designers have included a little library that extends from the floor to the ceiling. Shelves are a great way to store books and decor items as they create a very homely look and feel. Look at these: Things to consider when choosing shelves. 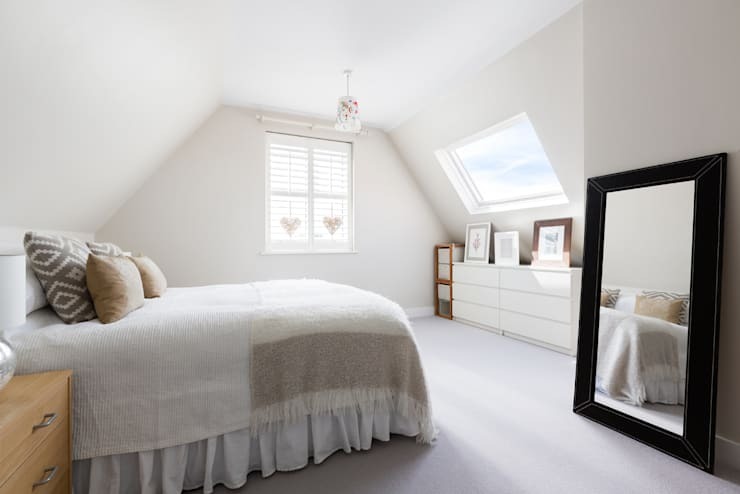 If we make our way upstairs, we can see that the house features some very beautiful and stylish bedrooms that can even be used for a bed and breakfast. The location is fantastic - making use of the attic space that usually gets wasted—and the minimalist decor only enhances the look and feel. Natural and subtle colours make it very easy to feel at peace and comfortable in this room. A bathroom was also set up in the attic. While the predominant colour is white, it's not too sterile thanks to the inclusion of photographs and flowers in this atmosphere. This creates a very comfortable look and feel! 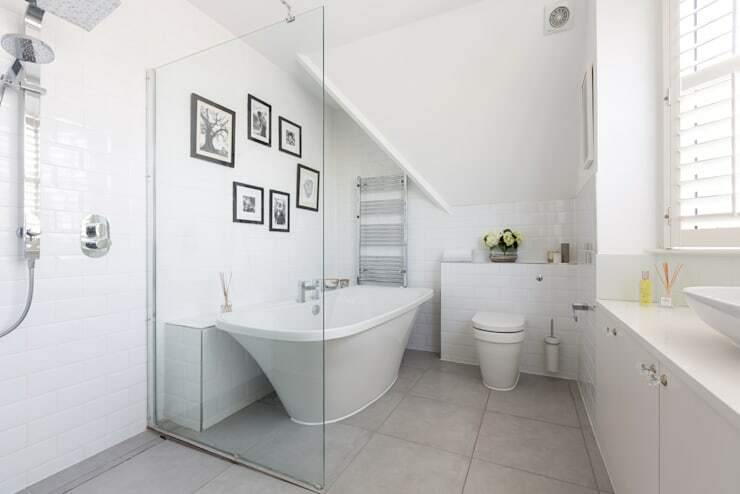 Even though this is a small bathroom, there is still space for a shower and a tub. To obtain the lightness, the shower is separated by a glass wall from the rest of the room. Are you envious of this beautiful townhouse?